Jesús San Miguel, MD, PhD is a professor of medicine-hematology and director of clinical and translational medicine at the University of Navarra in Spain. He served as director of the Hematology Department of the University Hospital of Salamanca in Spain, for over 22 years (1991-2013). Dr San-Miguel has published over 700 original papers in international journals. 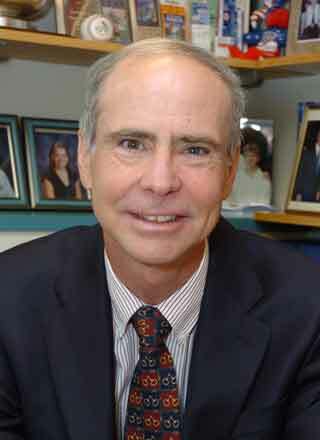 He has made important contributions to myeloma cell biology in areas such as immunephenotyping, risk of progression from monoclonal gammopathy of undetermined significance or smouldering MM into active MM, and minimal residual disease, as well as, making important contributions in the area of therapeutics, including studies for new antimyeloma drugs at the preclinical and clinical levels, including proteasome inhibitors, immunomodulatory drugs, and histone deacetylases. He is currently President of the International Myeloma Society and member of the Advisory Board of the International Myeloma Foundation and the Multiple Myeloma Research Foundation. He has served as board councillor for the European Association, chairman of the Scientific Committee for the IXth Congress (2004), and president of the 15th European Hematology Association (EHA) Congress. He has been associate editor for Blood and Hematologica. He has received numerous awards, including the Waldenstöm Award, EBMT Lecture, Celgene Career Achievement Award, Kyle Lifetime Achievement Award, Jose Carreras EHA Award, Ham-Wasserman Lecture Award, Rey Jaime I Award in Clinical Medicine, and the Spanish Prizes in both oncology and translational research. 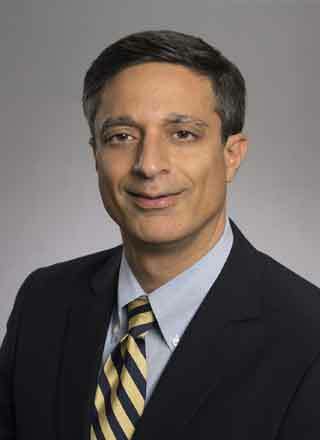 Nikhil C. Munshi, MD is Professor of Medicine at the Harvard Medical School and the Director of Basic and Correlative Science, and Associate Director of the Jerome Lipper Multiple Myeloma Center at the Dana Farber Cancer Institute and an attending physician at the Brigham and Women’s Hospital and the Boston VA Healthcare system, Harvard Medical School. Dr. Munshi received his medical degree from the M.S. University and the S.S.G. Hospital and in Baroda, India. He completed a Research Fellowship in Medical Oncology at the Johns Hopkins Oncology Center in Baltimore, Maryland, before receiving a clinical fellowship in hematology/oncology at Indiana University Medical Center - 1990. He has over 400 peer-reviewed publications and book chapters. Dr. Munshi has organized and chaired number of guideline panels to develop consensus recommendations for management of myeloma. He has contributed chapters on plasma cell neoplasms in the prestigious Harrison’s Principles and Practice of Internal Medicine; DeVita’s Principles and Practice of Oncology, and Hoffman’s Principle and Practice of Hematology. Dr. Munshi has mentored over 50 junior faculties, post-doctoral fellows, medical residents, as well as medical and undergraduate students both in the clinical setting, but more importantly in lab research. His grant support has included Program Project and SPORE grants from National Institutes of Health, Leukemia and Lymphoma Society, and VA Research grants. He serves as a co-chair of the National Steering Committee on Myeloma (National Cancer Institute) to direct the activities of all US Co-Operative Oncology Groups, which will shape all future major clinical trials in myeloma in the United States. He is member of the National Cancer Institute Clinical Trials and Translational Research Advisory Committee. He received a Leukemia Society of America Scholar in Translational Research awarded and is a founding member and vice-president of the International Myeloma Society. He has received a lifetime achievement award from Association of VA Hematologist and Oncologist. Importantly, he was awarded the most prestigious award in myeloma, the “Waldenström’s Award”, for the most Distinguished Lifetime Achievement in Myeloma Research in 2013. Sagar Lonial, MD, FACP is Professor of Hematology and Oncology and is Department Chair. Dr. Lonial earned his medical degree from the University of Louisville School of Medicine. He completed his internship and residency at Baylor College of Medicine in Houston, Texas, followed by a fellowship in hematology and oncology at Emory University School of Medicine in Atlanta, Georgia. Since his arrival at Emory, Dr. Lonial has worked in the field of immunotherapy and cancer, and in the previous 3 years has spent time developing the B-cell malignancy program with respect to novel targeted agents in laboratory models as well as early clinical trials. His previous laboratory work has focused on evaluating the impact of purified dendritic cell subsets on the nature of immune responses against antigen, and he has completed several trials evaluating the impact of cytokines on dendritic cell content and post-transplant immune recovery. Dr. Lonial, is internationally recognized as a leading authority in multiple myeloma treatment and research. As a medical oncologist at the Winship Cancer Institute, Dr. Lonial treats patients with multiple myeloma and is a lead member of the bone marrow transplantation team and clinical trials team. He is board certified in hematology, oncology and internal medicine. Dr. Lonial is involved in numerous professional organizations including the American Society of Clinical Oncology, American Society of Hematology, and the American Society for Blood and Marrow Transplantation. He serves as Vice Chair of the Myeloma Committee in the Eastern Cooperative Oncology Group and as Chair of the Steering Committee for the Multiple Myeloma Research Consortium. Additionally, he is on the board of directors for the International Myeloma Society and on the scientific Advisory Board for the International Myeloma Foundation. 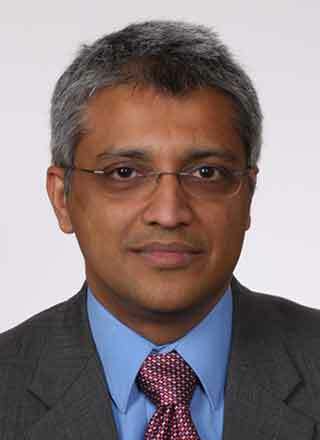 Shaji Kumar, MD is a consultant in the Division of Hematology at Mayo Clinic, and Professor of Medicine in the College of Medicine, Mayo Clinic, Rochester, MN. He is currently the Medical Director for the Cancer Center Clinical Trials Office. He also serves as the co-chair of the NCI Myeloma Steering Committee. Dr. Kumar’s research efforts are directed toward studying novel treatment approaches in myeloma through well-designed clinical trials. Currently he is principal investigator on multiple phase I, II, and III trials for plasma cell malignancies, His laboratory efforts are focused on development of new agents for plasma cell malignancies, with a particular focus on the tumor microenvironment and its interaction with the tumor cells and understanding the risk of progression of monoclonal gammopathies including MGUS and smoldering myeloma. Robert A. Kyle, MD is Professor of Medicine, Laboratory Medicine and Pathology at Mayo Clinic College of Medicine, in Rochester, Minnesota. He served as the Section Head and subsequently Chairman of the Division of Hematology. Dr Kyle is Chairman of the Scientific Advisory Board of the International Myeloma Foundation (IMF) and serves on the Board of Directors of the IMF; he is Chairman of the Scientific Advisory Committee of the International Waldenström’s Macroglobulinemia Foundation (IWMF). He is a Master, American College of Physicians, and an honorary member of the Royal Society of Pathologists, London. He served as the first President of the International Society of Amyloidosis as well as the International Myeloma Society. He was Chairman of the Myeloma Committee of the Eastern Cooperative Oncology Group for 12 years and for 6 years served as Secretary-General of the International Society of Hematology. Dr Kyle lectures widely and has contributed more than 1050 articles and book chapters as well as over 1350 abstracts to the literature. Dr Kyle was the first recipient of the Robert A. Kyle Lifetime Achievement Award from the International Myeloma Foundation and the Robert A. Kyle Award from the IWMF as well as the Robert A. Kyle Award for Outstanding Clinician Scientist from Mayo Clinic, and has received the Mayo Clinic’s Henry S. Plummer Distinguished Internist Award, Distinguished Clinician Award, and Distinguished Alumni Award. He is one of two recipients of both the David A. Karnofsky Award and Lecture from the American Society of Clinical Oncology in 2007 and the Wallace Coulter Award from the American Society of Hematology in 2008 which are their highest awards. He received the 2013 Northwestern University Feinberg School of Medicine Distinguished Alumnus Award and the John Phillips Award from the American College of Physicians in 2015. Kenneth Anderson, MD is the Kraft Family Professor of Medicine at Harvard Medical School as well as Director of the Jerome Lipper Multiple Myeloma Center and Lebow Institute for Myeloma Therapeutics at Dana-Farber Cancer Institute. He is a Doris Duke Distinguished Clinical Research Scientist and American Cancer Society Clinical Research Professor. Over the last three decades, he has focused his laboratory and clinical research studies on multiple myeloma. He has developed laboratory and animal models of the tumor in its microenvironment which have allowed for both identification of novel targets and validation of novel targeted therapies, and has then rapidly translated these studies to clinical trials culminating in FDA approval of novel targeted therapies. His paradigm for identifying and validating targets in the tumor cell and its milieu has transformed myeloma therapy and markedly improved patient outcome. 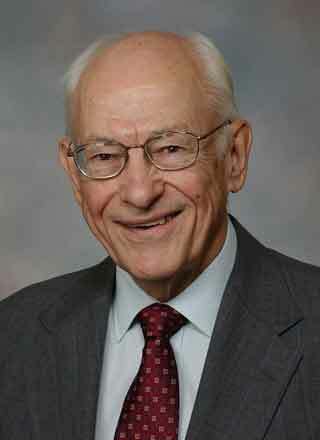 He is a recipient of many scientific and humanitarian awards including: the International Myeloma Workshop Waldenström’s Award; the International Myeloma Foundation Robert A. Kyle Lifetime Achievement Award; the American Association for Cancer Research Joseph H. Burchenal Award; the American Society of Hematology William Dameshek Prize; the Johns Hopkins Society of Scholars; election to the Royal Colleges of Physicians and of Pathologists of the United Kingdom; the American Society of Clinical Oncology David A. Karnofsky Award; the Hope Funds for Cancer Research Award of Excellence in Clinical Research; the Ron Burton Humanitarian Award; the Harvard Medical School Warren Alpert Foundation Prize; the American Cancer Society Medal of Honor in Science, the Leonard P. Zakim Patient Advocacy Award: the Samuel Waxman Research Foundation David Workman Memorial Award; the University of Miami Sylvester Cancer Center Annual Zubrod Memorial Award; and appointment as a Fellow of the American Association for Cancer Research Academy, to the Board of Scientific Advisors of the National Cancer Institute, and to the Institute of Medicine’s National Cancer Policy Forum. 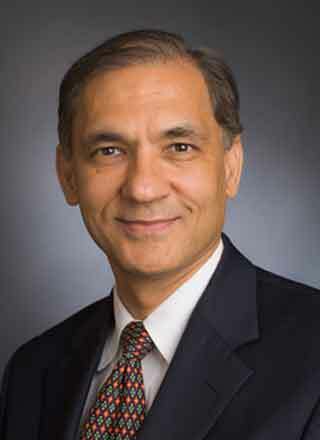 He is a member of the Institute of Medicine of the National Academy of Sciences, served as President of the International Myeloma Society, and is President-elect of the American Society of Hematology. 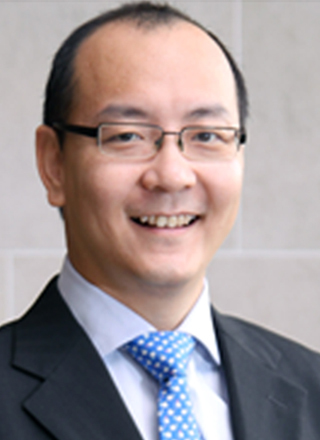 Professor Wee Joo Chng is the Director of the National University Cancer Institute of Singapore (NCIS) at the National University Health System, Singapore (NUHS). He is also the Deputy Director and a Senior Principal Investigator at the Cancer Science Institute (CSI), Singapore, National University of Singapore (NUS). Professor Chng is also a Professor of Medicine at the Yong Loo Lin School of Medicine, National University of Singapore. He is the current President of the Singapore Society of Haematology. He Graduated from the University of Leeds Medical School in the United Kingdom. He has a PhD from National University of Singapore. He has fellowships from the Royal College of Physicians, Edinburgh; Academy of Medicine, Singapore; and Royal College of Pathologist, UK. His research interests focus around multiple myeloma, and the biology and therapeutics of haematologic malignancies. He is a member of many international professional committees, such as American Society of Haematology Scientific Committee on Plasma Cell Neoplasia, the International Myeloma Working Group and the Asian Myeloma Network. Professor Chng is in the peer review committee of journals such as Blood, leukemia, Cancer Research, and Nature Genetics. He is also involved in a number of Grant Review Committees, Conference Organising Committee, Advisory Boards and Steering Committees of Global Clinical Trials. He has authored more than 170 publications in many reputed journals, such as The New England Journal of Medicine, Cancer Cell, Blood, Leukemia, Nature Medicine, and Cancer Research. Prof Chng has also authored several book chapters, actively participated in clinical trials and has delivered talks in many national and international conferences. He has won multiple awards for his research both locally and internationally including the National Medical Research Council Clinician Scientist Award, The National University of Singapore Young Researcher Award, the National Medical Excellence Award Outstanding Clinician Scientist Award and the Celgene Future Leaders in Haematology Award. 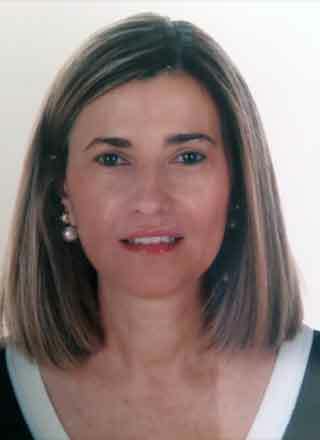 Vania Tietsche de Moraes Hungria is an Associate Professor of Hematology and Oncology at Santa Casa Medical School and Clinical Director of the São Germano Clinic in São Paulo, Brazil. She received her medical degree and training from Santa Casa of São Paulo and graduate degrees from the University of São Paulo. Since the initiation of her medical career, she has focused on plasma cell disorders, mainly multiple myeloma. She has conducted national clinical trials, has published on these topics and has participated in multicenter international clinical studies. She is a member of the International Myeloma Foundation Scientific Advisory Board and the International Myeloma Working Group. As a Co-founder and Chair of the International Myeloma Foundation Latin America Scientific Advisory Board, she has contributed to the education of health professionals and patients. 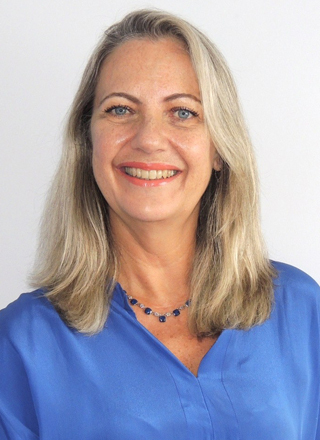 She is also a Co-founder and Coordinator of the Brazilian Multiple Myeloma Group (GBRAM). 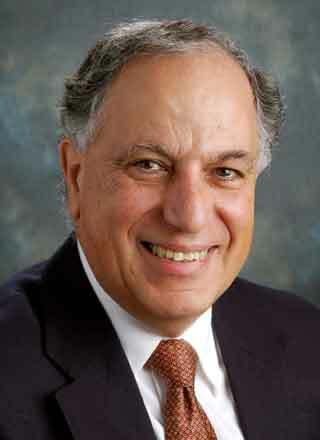 Douglas E. Joshua, AO is Professor Emeritus Douglas Edgar Joshua is a Professor in Medicine at University of Sydney, and Consultant Hematologist at the Institute of Hematology, Royal Prince Alfred Hospital. He is the chairman of the SLHD Blood Transfusion committee and a member of the Clinical Excellence Commission Blood Watch program. 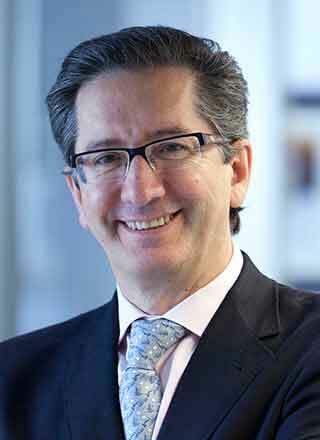 He is chairman of the Blood Clinical and Scientific Advisory Committee (BCSAC) of the NSW Department of Health as well as Chairman of the National ARCBS Ethics committee. Prof. Joshua received his BSC, MB BS, and his D Phil degrees from University of Sydney and University of Oxford. He is a fellow of The Royal Australasian College of Physicians and the Royal College of Pathologists of Australasia. Prof. Joshua is scientific advisor and member of the International Myeloma Foundation, and serves on the editorial board of numerous journals. Prof. Joshua has a long standing interest in both basic and clinical research in Myeloma and has been supported by the National Health and Medical Research Council, Multiple Myeloma Research Foundation, International Myeloma Foundation, NSW State Cancer Council, Cancer institute of NSW , the University of Sydney Cancer Research Fund and the Sydney Foundation for Medical research. He has held sabbatical appointments as a visiting scholar at the University of Birmingham and the Dana Farber Cancer Institute in Boston. His award as an Officer of the Order of Australia, AO, was given for his service to Medical Education and to Hematology. María-Victoria Mateos, MD, PhD is Consultant Physician in the Haematology Department and Associate Professor of Medicine at the University of Salamanca, Spain. She is the director of the Myeloma Program and coordinates the Clinical Trials Unit in Salamanca’s University Hospital Haematology Department. She serves as coordinator of GEM (Spanish Myeloma Group), with direct involvement in the design and development of clinical trials. She has coordinated many clinical trials in elderly and smouldering MM patients that have profoundly influenced current options for treating these patient populations. She is also a member of the IMWG (International MM Working Group), IMS (International MM Society), EHA and ASH. She has published over 140 papers in peer-reviewed international journals, some of which have become key references in the Multiple Myeloma field. She is Associate Editor of myeloma in Annals of Haematology since 2011 and has acted as a reviewer for top journals such as NEJM, Lancet and Lancet Oncology. Among her invited presentations, she has recently contributed to the educational sessions of EHA 2012, ASH 2013 and ASCO 2015. She has served on the EHA’s Scientific Program Committee and Advisory Board since 2014 until 2016, and on the ASH Scientific Committee on plasma cell diseases in 2015. She is a Councillor on the EHA Board since 2015 for a four-year mandate, member of the Steering Committee for the Society of Hematologic Oncology (SOHO), member of the IMS board and member of the European School of Haematology (ESH) Scientific committee. Giampaolo Merlini received his medical degree and specialized in Hematology and in Laboratory Medicine at the University of Pavia. He was trained by Prof. Jan Waldenström and Prof. Elliott Osserman in the study of monoclonal gammopathies and systemic amyloidosis. He is the Director of the Center for Research and Treatment of Systemic Amyloidosis, University Hospital Policlinico San Matteo, and the Director of Research of the University Hospital. 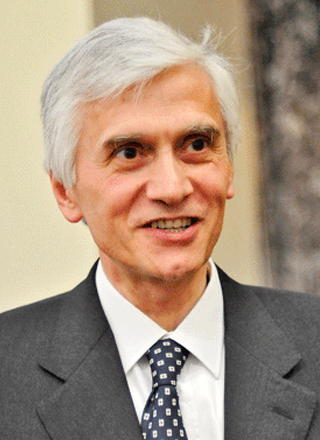 He is full Professor of Clinical Biochemistry, Department of Molecular Medicine, University of Pavia, Italy. He was President of the International Society of Amyloidosis from 2005 to 2010. Dr. Merlini’s research interests include the pathogenesis, natural history, diagnosis and treatment of monoclonal gammopathies, with particular focus on immunoglobulin light chain amyloidosis (AL). His recent research focuses on the investigation of biomarkers for early diagnosis, assessing prognosis and response to therapy and on the development of novel therapeutic agents and treatments designed in the light of advances in the understanding of the molecular mechanisms of AL amyloidosis. He is principal investigator for several clinical trials and research projects in this field. 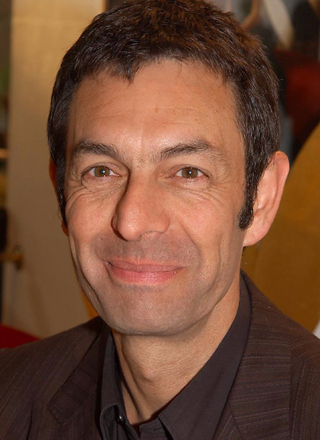 Philippe Moreau, MD, is Head of the Hematology Department at the University Hospital of Nantes, France. He specializes in clinical hematology, with a particular focus on multiple myeloma and its treatment with high-dose therapy and novel agents. Dr Moreau was appointed University Professor of Clinical Hematology at Nantes Faculty of Medicine in 2003. Prof. Moreau was a member of the organizing committee for the 2011 International Myeloma Workshop, in Paris. Prof. Moreau is currently a member of the administration council of the Intergroupe Francophone du Myélome (IFM), and he was chairman of the IFM from 2006 through 2009. He is a member of the steering committee of the International Myeloma Working Group. Prof. Moreau is widely published, with more than 250 peer-reviewed articles and reviews that have appeared in high impact factor journals including New England Journal of Medicine, Journal of Clinical Oncology, Lancet Oncology, and Blood. He is frequently invited speaker at international hematologic oncology meetings. He is member of the Editorial Board of the Journal of Clinical Oncology, Blood, and Blood Cancer Journal. 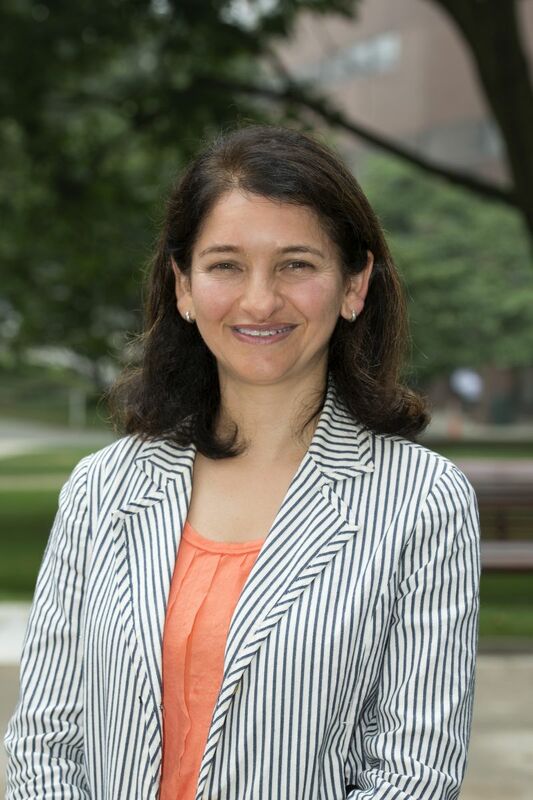 Dr. Raje is director of the Center for Multiple Myeloma and the Rita Kelley Chair in Oncology at the Massachusetts General Hospital Cancer Center at Harvard Medical School in Boston, MA. Her primary focus is treating patients with multiple myeloma and related plasma cell disorders. Dr. Raje leads a dedicated clinical team engaged in investigator-initiated, multicenter national and international clinical trials, all aimed at developing new promising therapies for Multiple Myeloma. Her laboratory efforts are focused on identifying cellular signaling pathways that contribute to the survival and proliferation of myeloma cells in the bone environment, and whose targeting may result in improved therapeutic outcomes. Her efforts are geared towards understanding the genetic heterogeneity of myeloma and designing trials to specifically harness these. She also focuses her laboratory efforts on understanding bone disease biology and translating these findings for the development of novel bone therapeutics. 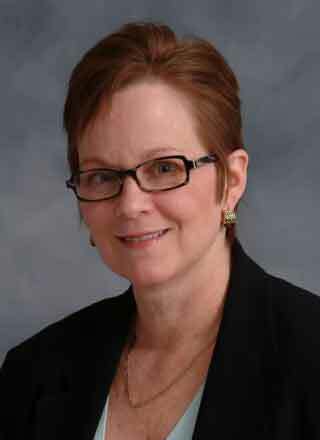 Donna Reece, MD is Professor and Director of the Program for Multiple Myeloma and Related Diseases in the Department of Medical Oncology and Hematology at Princess Margaret Cancer Centre/University of Toronto. She was awarded the David and Molly Bloom Chair in Multiple Myeloma Research there in November 2009. She earned a Bachelor of Arts degree at the University of Texas, Austin, and graduated as valedictorian with a medical degree from Baylor College of Medicine, Houston, Texas in 1978. She completed an internship in internal medicine at the University of Colorado Affiliated Hospitals, a residency and chief residency in internal medicine at the Jewish Hospital, St. Louis, and a fellowship in hematology/oncology at Barnes Hospital, Washington University, St. Louis, Missouri. She was a fellow and later a leukemia/stem cell transplant physician at Vancouver General Hospital/University of British Columbia for over 10 years. Dr. Reece then served as Director of the Outpatient Leukemia/Stem Cell Transplant Program, and later interim director, of the Blood and Marrow Transplant Program of the Markey Cancer Center at the University of Kentucky, Lexington, Kentucky until her appointment to Princess Margaret Hospital in Toronto in 2001. Dr. Reece is currently the chair of the Multiple Myeloma Clinical Trials Group of the National Cancer Institute of Canada, member of the Scientific Advisory Board of the International Myeloma Foundation, and member of the Clinical Trials Core Medical Review Team as well as the Project Review Committee of the MMRC (Multiple Myeloma Research Consortium). She also served for 10 years as co-chair of the Myeloma Working Committee of the International Center for Blood and Marrow Transplant Research (CIBMTR). She has spearheaded the development of the Myeloma Canada Research Network (MCRN) clinical trials group and national database. Her career focus has been in the areas of hematopoietic stem cell transplantation, lymphoid malignancies, and, in particular, plasma cell dyscrasias. She has conducted many clinical trials and published numerous articles in these areas.